Russia celebrates the Navy Day every last Sunday of July, including July 30, 2017. MOSCOW (Sputnik) – The country's Navy has been evolving since the late 17th century. Then Russia needed a regular navy because it had to overcome territorial, political and cultural isolation, which had been one of the main obstacles to its socioeconomic development in the late 17th and early 18th centuries. The Azov Fleet comprising warships and other vessels built in the winter of 1695-1696 became the first regular task force of the Russian Navy that helped the Russian Army seize then Turkish fortress of Azov. On October 30 (October 20, according to the Gregorian calendar), 1696, the Boyar Duma, an advisory council to the Russian tsars, acted on the recommendation of ruler Peter the Great by passing a resolution noting that "Naval vessels shall set sail…" This document became the first law on providing a national Navy and its official founding document. Russia started construction of its Baltic Fleet during the Great Northern War 1700-1721. The first warships for the needs of the fleet were built in 1702-1703 at the Syas and on the Svir River. The cornerstone of Kronshlot, later Kronshtadt, the main Russian naval base on the Baltic Sea, was laid in 1703. The Russian Navy’s main objectives that were clarified during the Great Northern War remain virtually the same to this day. They include the ability to attack enemy naval units and shipping lanes, to defend the country’s coastal areas from amphibious assault, to assist army units from the sea and to invade enemy territory. These objectives have evolved with changes in weapons systems and naval warfare concepts. The role and place of various naval units has also changed in course of time. Before World War I, surface warships ruled the seven seas and were the main service branch. During World War II, they were temporarily superseded the naval aircraft started playing the key role. With the advent of nuclear weapons, ballistic missiles and nuclear-powered ships after the war, submarines became the main branch of the Navy. The Navy was quite homogenous before World War I. Although coastal units, including the marines and coastal artillery had existed since the early 18th century, they were not subordinated to the naval commanders. 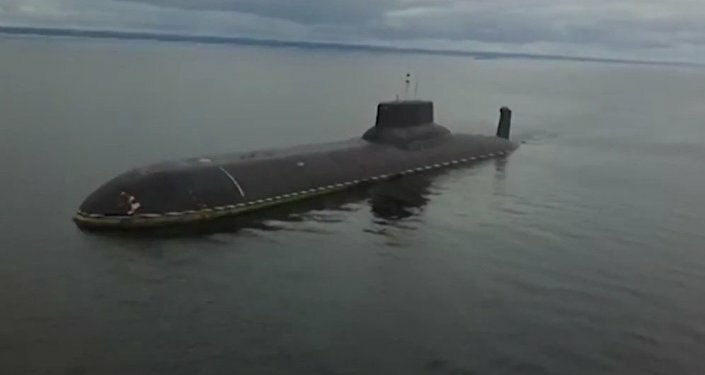 The Russian submarine fleet was established in 1906. The first naval aviation units were established in 1914. By the mid-1930s the Navy had incorporated naval aviation, coastal and air defense units. 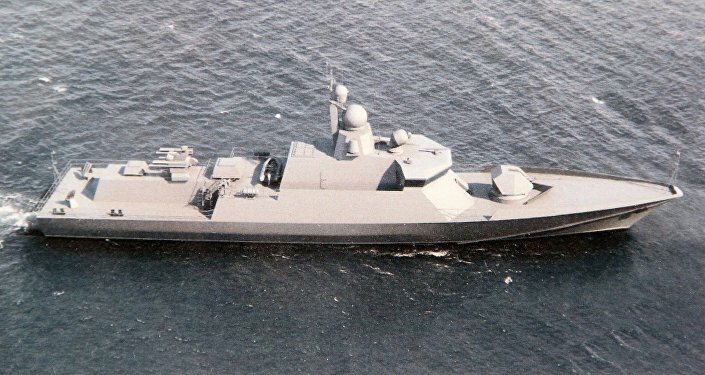 Soon after its creation, the Russian Navy lacked a clear organizational structure and functions. In 1717, Peter the Great established the Russian Admiralty Board, the Navy’s administrative agency. The Naval Forces Ministry was established in 1802 and later renamed as the Naval Ministry. This body was abolished after the October Revolution in Russia in 1917. On January 15, 1938, the Central Executive Committee, an early Soviet parliament, and the Council of People’s Commissars (then name of the country's government) established the People’s Commissariat (Ministry) of Navy with the Main Navy Headquarters. As the Russian state struggled to access the world’s oceans and become an integral part of the global economic and political system, each high-seas theater of war eventually received its own permanent task force. The Baltic Fleet was officially established on May 18 (May 7, according to the Gregorian calendar), 1703. The Caspian Flotilla was established on November 15 (November 4, according to the Gregorian calendar), 1722, and the Black Sea Fleet was established on May 13 (May 2, according to the Gregorian calendar), 1783. Temporary naval units were established in the Arctic and Pacific oceans but were abolished several times. The permanent Northern and Pacific fleets were established on April 21, 1932 and June 1, 1933, respectively. The capacities of the country's Navy reached a peak by the mid-1980s, when it comprised of four fleets and one flotilla that included more than 100 divisions and brigades of surface warships, submarines, naval aviation and coastal defense. At the moment, the Navy comprises of Surface Forces, Submarine Forces, Naval Aviation, Coastal Troops and Marine Infantry. It also includes Baltic, Black Sea, Pacific and Northern Fleets as well as the Caspian flotilla. The Navy Day of Russia is the professional day for those guarding Russia’s maritime borders and maintaining naval ships and units in a state of combat readiness. Their families, employees of naval agencies and enterprises, Great Patriotic War and Armed Forces veterans also celebrate it. The history of this holiday goes back to the 18th century. The idea to hold annual celebrations was proposed by Peter the Great. On July 27, 1714, the Russian Navy achieved the first major victory in its history in the Battle of Gangut. The victory was celebrated over the course of several days via naval parades, fireworks and public worships. Despite the fact that the celebrations had later confined to church services alone the celebrations were reinstated in the middle of the 19th century with the country hosting naval parades with ships decorated with flags and fireworks. The celebrations were abolished in 1917, but in 1920, at the initiative of the Baltic Fleet Headquarters, the country's authorities started celebrating Red Fleet Day every Sunday prior to May 18. The date was chosen as on May 18, 1703, the Russian Baltic Fleet achieved its first small victory at the mouth of the Neva River. The sailors boarded and captured the Swedish Navy’s small boat Gydan and a small two-mast vessel, the Astrild. The date of this battle was later accepted as the founding day of the Russian Baltic Fleet. The first Navy Day in the Soviet Union was celebrated on July 24, 1939 following the resolution of Council of People’s Commissars and the Central Committee of the All-Russian Communist Party (bolsheviks). The resolution stated that the holiday would be held annually on July 24. On October 1, 1980, the Presidium of the USSR Supreme Soviet (Parliament) issued a decree "On Festive and Memorable Dates" stipulating Navy Day celebrations on the last Sunday of July. This was also confirmed by subsequent legislation. Every Navy Day, naval service personnel stand in formation, with ship crews hoisting their St. Andrew flags and pennants. 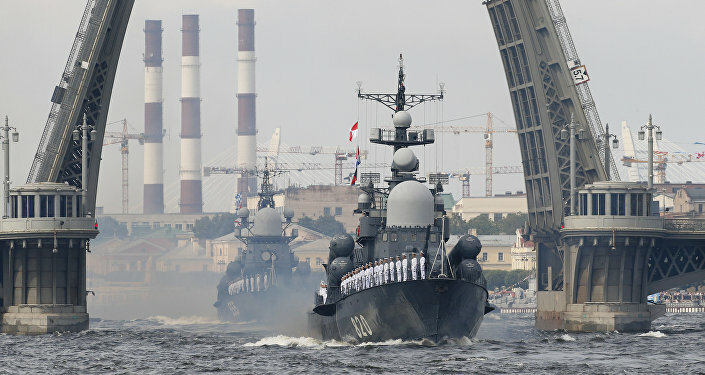 Naval parades and military-sport events are held at the bases of Russia's Navy. The parades are held annually on the Navy Day since 1939, with the exception of the Great Patriotic War of 1941-1945. Navy Day parades are scheduled to be held at every Russian naval base and also in Syria. The celebrations would culminate in concerts and fireworks displays at every Russian naval base.